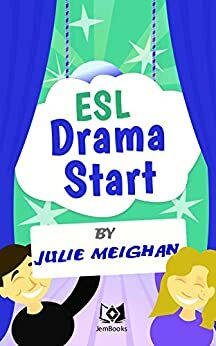 Drama Start – This is an educational drama resource site for teachers, parents or anyone working with children. Characters: Three storytellers, Monkey, Giraffe, Lion, Kangaroo, Crocodile, Penguin, Monkey, Camel, Frog, Pig, Squirrel, Ant. Storyteller 1: Once upon a time a long time ago. Storyteller 2: All the animals in the world decided to have a big party to celebrate the midsummer. Storyteller 3: It was a midsummer party and all the animals in the world were going. Storyteller 1: From the tiniest ant to the enormous elephant. Storyteller 2: The animals arrived Two by two. Storyteller 3: Eventually, all the animals had arrived. Giraffe: I think so, I can’t see anyone else coming. midsummer. I hope everyone will have wonderful time tonight. I want to introduce the band. Back by popular demand all the way from the Jungle. I would like to introduce our band- the animals. Storyteller 1: Everyone danced and chatted and had a merry time. Kangaroo: Stop the music. I just noticed that the camel isn’t here. Crocodile: Never mind him, he is so grumpy. Penguin: He couldn’t be bothered coming. Giraffe: No wait, I see something coming up in the hill in the distance. Monkey: It is the camel and he doesn’t look very happy. Penguin: We should be very welcoming to him, when he arrives. Animals: Hello Camel, welcome to the midsummer’s eve party. Lion: Come and join us. Camel: (sighs and wipes his brow.) This better be a good party. I have come an awfully long way. Pig: That was fun but now let’s play piggy in the middle. Storyteller 2: Everyone had so much fun. Storyteller 3: Then the dolphins performed a lovely water display. Monkey: now it my turn to show my contemporary dance. Storyteller 1: The monkey danced, and all the other animals were impressed. Camel: Harrumph! What’s all the clapping and cheering about. Anyone can dance like that. Kangaroo: That’s not true. The monkey is a very good dancer. Ant: You are such a grumpy all hump, Camel. Elephant: You are just jealous Camel, everyone knows camels can’t dance. Camel: Of course, Camels can dance. Monkey: Go on then, show us how camels can dance. Storyteller 1: The band started to play, and the camel started to dance. Storyteller 2: It was the most peculiar dance they had ever seen. Squirrel: Watch where you are going. Storyteller 3: The camel swings his tail and the rabbit is knocked to the floor. Storyteller 1: Then, he nearly trod on the ants. Ant/s: Oh, my goodness. Somebody stop him before he kills us. Lion: (roars) Stop! Stop Camel. Camel: But I’m in the middle of my dance. Can’t you see I’m the best dancer here. Storyteller 1: Then, the unimaginable happened. Storyteller 2: He stood on the lion’s tail. Camel: Is it just me? But I get the feeling you didn’t like my dance Lion. (Looks around.) why is anyone clapping. Pig: Your dancing is ……horrible. Camel:(hangs his head) I must admit that it wasn’t as fun as the monkey’s dance. (Looks at the monkey) You dance very well, Monkey. Monkey: Thank you. You have special talents too. You can walk for miles without water and you can give everyone rides on your hump. Kangaroo: Everyone has a talent. Lion: The world would be a strange place if we all good at the same thing. Camel: I guess you are right. Well who would like on my hump. Storyteller 1: The camel smiled with pride and pleasure. Storyteller 3: Everyone is good at something. For more animal plays for children click on the link below. Resources needed: Clear space and a chair for each student – if you do not have chairs you can use sheets of paper or cushions. Other Benefits: This is a well-known game which can also be used very effectively as a listening game or an observation game. Instructions: All the children sit in circle on a chair or a cushion. The teacher chooses three or more different colours of the rainbow – red, orange, yellow, green, blue, indigo, violet and goes around the circle giving each person the name of a colour in a particular order, for example, red, orange, yellow. A child is then chosen, or volunteers, to go into the centre of the circle. His/Her chair is taken away. The child in the centre calls out the name of one of the three colours.. If the child in the centre says red then all the reds change place, if s/he says yellow, all the yellows change place and if s/he says orange, all the oranges change places. If s/he says rainbow then everyone changes places. The child who is left without a chair goes into the centre for the next round. Game: What’s the time Mr. Leprechaun ? Other Benefits: This is a popular traditional children’s game that can also be used very effectively in a drama session as a warm-up game. This game also helps children with their listening and co-ordination skills. Instructions: One child is chosen or volunteers to be Mr. or Ms. Leprechaun and stands at one side of the clear space. His/Her back is to the other children, who are standing at the opposite end of the space. The rest of the children shout out: “What’s the time Mr. /Ms. Leprechaun ?” The leprechaun does not turn around. He/she replies in a leprechaun like voice: “four o’clock.” The children walk forward the number of steps the leprechaun calls out (in this case, four). The children ask again: “What time is it Mr./Ms. Leprechaun ?” The leprechaun replies: “five o’clock.” The children take five steps forward. The children continue to ask the question and to walk the appropriate amount of steps forward. Eventually, when the leprechaun thinks that the children are near enough he/she will say: “Dinnertime!” Then the leprechaun turns around and chases the children. They have to try to rush back to their starting place. If Mr./Ms. Leprechaun catches one of them before they reach home, that child is the wolf in the next game. Other Benefits: This game helps the child hone their observation skills but it can also be used as a fun warm up or movement activity. Instructions: The teacher calls out a colour of the rainbow, for example blue. The children must then look for an object in the clear space that is blue. All the children must run to the blue object. The last person to get there is out. Other Benefits: This helps to improve eye contact and children body language. It also stimulates the imagination as the children have to come up with unique questions. Instructions: The children sit in a circle. One child sits in the middle of the circle and everyone in the circle takes it in turns to ask him/her a question, for example: “What did you have for breakfast?” The child in the middle is only allowed to answer “Leprechaun underpants’ and they must not laugh or smile. If they laugh or smile they have to change places with the child whose question made them laugh. If you want a copy of Irish Legends on Stage click the link below. You can choose to turn around when you sing “Shake it all about” – or you can simply shake your whole body. Allow whatever movement happens freely as you play with your child. Sing the song at least three times. You really want to get into the fun like to end my 3-4 and 5-6 classes with what I call “body awareness freeze game”. So it’s like freeze dance except no one’s out if they move during a freeze moment. Instead, I shout out directions every time the music stops. There are two categories: directions that affect how they move, and directions that will affect the shape they will form with their bodies when the music stops. For example, I may say: “until the music stops you will make a hand dance” and dance mostly with their hands. Then the music stops and I say “Now you will make a shoulder dance”. etc. With the other variation, I let them dance however they want, and then I say “Next time the music stops I want you to make straight lines with your arms and legs” and then they do it when the music stops. Then I give them something else “Next time the music stops you have to have one foot and one hand in the air”… It can be anything really, I just want them to be creative and start problem solving with their bodies… When there’s a holiday coming up I ask them to shape their body like a star, like a Christmas tree, or like a heart for valentine’s day. They love it and that way they are still developing skills and body awareness while having crazy loads of fun! Aesop was an ancient Greek storyteller who was is believed to have lived around 500 B.C. He was a Phrygian slave. He was owned by two different masters before gaining his freedom due to his intelligence. He went from place to place telling his fables to the masses however it is also widely believed that he did not write most of them, he just collected them. Aesop’s fables were used to offer advice to their audience. He supposedly met his death by being thrown a cliff at Delphi for being ugly and deformed. Over the centuries Aesop’s fables have been rewritten, illustrated and translated into every language in the world. A fable is a short story. Fables typically involve animals with human like qualities. Usually in a fable, the time and the place are unspecified. Often fables illustrate how smaller and weaker characters use their intelligence to defeat the bigger and more powerful characters. There is always a hero, a villain, a character with a weakness and most importantly a moral. A moral is a lifelong lesson. There are always good characters and evil characters. • Everyone has learnt a lesson for a story. • A story is metaphorical when used to communicate something more than the events itself. • Symbols are the smallest units of metaphor. • The story is a metaphor for the ideas it expresses. • The Importance of fantasy. Fantasy is the inner world of the child. • Fantasy or symbolic play – a chair becomes a rocket. • Options for new ways of reacting to situations. • Allows the child to stay longer in the situation. • Provides the means for the child to stay look at his powerful feelings from a distance. • When an unknown thought can be named, then it can be thought through and felt through. • Children need emotional education and therapeutic story help achieve this education. • Must feel the character’s joys and relief in coming through conflict and crisis to resolution. • Must be indirect – this where safety lies. – Before they go to sleep. • Identify a list of emotional issues that children may experience. • What would you like to change? • Think of a strategy to achieve this change. • Put the issues into a different metaphorical context ……to which the child can relate. • Borrow ideas from stories you know. • Start at the end a work backwards. • Present the main character as experience the same emotional problem as the child- Metaphorical conflict. • Show the main character using similar methods to deal with the problem as those used by the child – personify unconscious processes and potential in the form of heroes/helpers and villains or obstructions. • Show how these methods lead your character problems which lead to failure –metaphorical crisis. • The story so far should have captured the whole context of how that character came to that moment of crisis in their life. Move towards the solution – vital part of the journey-someone in the story appears to help the character change direction and to move on to a better coping mechanism which makes them feel a lot better. • Don’t move too quick – story becomes unbelievable. 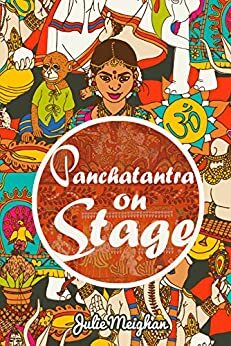 • Culminates with a celebration in which the protagonist’s special worth is acknowledged. A symbol – a word or image which implies one thing but means something else. Metaphors – using language to talk about one thing while meaning something else. • Not the sharpest knife in the drawer. • Give me the bottom line. • Don’t put your eggs in one basket. • Metaphorical Conflict – Birth of funny looking duckling. • Unconscious processes and potentials – Mother defends him, cites positive qualities, gets a first look at swans. • Parallel learning situations – Learning to swim, take care of himself and fly. • Metaphorical crisis – Attack in the marsh, cold winter in the pond. • New identification – Beholds beautiful new image in the water. • Celebration – The old swans are in awe of him. • In groups think of a fairytale that could be used as a therapeutic story. Put it into the above framework. In groups, full in the blanks. Read your story out to the rest of the class. Devise an improvisation based around your story.